A new study shed light on a rare but potentially dangerous risk of commonly used medications to treat attention deficit / hyperactivity disorder ( ADHD ). Researchers evaluated the two most common types of ADHD medications and found that, while the risk is low, certain drugs have an increased risk of psychosis. "We looked at new users, people who are being prescribed these medications for the first time , "Lauren V. Moran, MD, a psychiatrist at McLean Hospital who led the study, told CBS News. "We compared amphetamines, which is Adderall and Vyvanse, to people who were prescribed methylphenidates, which is Ritalin or Concerta." We found that the Adderall type of drugs had increased risk of psychosis. "Rates of ADHD have been rising sharply in recent years. More than 6 million US children and teens have been diagnosed with the disorder, which is characterized by attention difficulties, hyperactivity, and impulsiveness, according to the Centers for Disease Control and Prevention. Approximately 5 million people in the US under the age of 25 are prescribed medications for the treatment of ADHD. An analysis showed that 1 out of every 488 patients who started on an amphetamine developed psy chosis that required treatment with antipsychotic medication, compared to 1 in 1,046 patients who started on a methylphenidate. People may experience hallucinations, such as hearing voices in their head, and delusions, including false beliefs like the government is following them or that they are in danger. The findings of the new study, published in the New England Journal of Medicine, are especially concerned, because the use of amphetamine medications in adolescents and young adults has more than tripled in recent years. "It seems that doctors are choosing to start people on even though existing guidelines suggest that both stimulants have similar effectiveness," Moran said. "Why choose Adderall about Ritalin-type drugs." However, for patients already using ADHD with no side effects, there appears to be no cause. for concern. "One of the things that is really important about this study is that we only looked at new users," Moran said. "It seems like risk of this happening happens early on in treatment. Most of the psychotic episodes happened in the first several months of treatment. So I think if you have a child who's taking Adderall or Vyvanse and they" They've been taking care of it and they're benefitting from it, so there's no reason to take them off. This is really something that people should consider when they're first starting. " An individual is already at an increased risk of psychosis, such as a family history of bipolar disorder or a psychotic disorder. 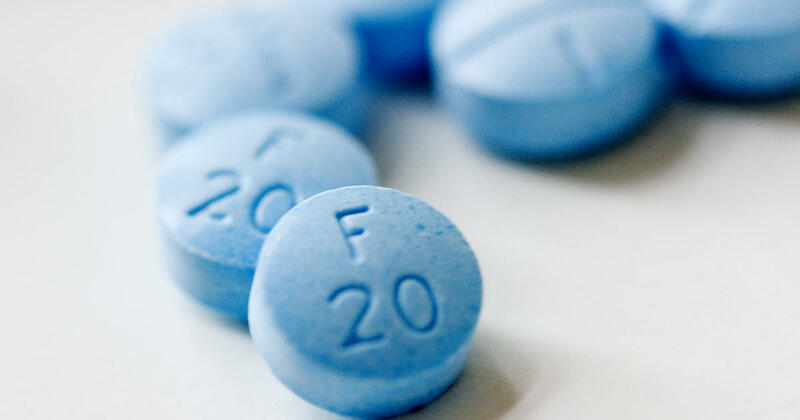 "I might shy away from Adderall in patients with history," Moran said. However, if symptoms are severe enough, medication may be needed and parents should talk to their pediatricians about the best treatment. plan for their child.